Individuals may have suffered financial losses investing or transferring their pension funds into a Qualifying Recognised Overseas Pension Scheme (QROPS). If you are similarly affected, then we would like to hear from you as we may be able to assist you in bringing a No Win No Fee claim to recover your losses. If this is the case, then please make a no obligation free enquiry on the form on this page for further advice. We especially invite contact from anyone who has been invested in High risk or illiquid Non-Standard investments or into QROPS which have subsequently lost their QROPS status. Was the fund Classified for Professional Investors only and were you aware of this? Were you fully aware that the investment sold to you was high risk and you may lose the entire amount invested? Were you fully aware that the fund could possibly become illiquid for many years? Does the investment have any conflicts of interest with the adviser who sold the investment and were you made aware? 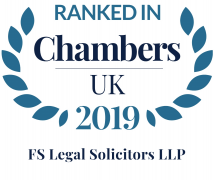 Were you informed that should the investment fail you have little or no recourse to the Financial Ombudsman Service or the Financial Services Compensation Scheme? Did the transferring Scheme conduct adequate due diligence on the QROPS? Did the Financial Adviser conduct adequate due diligence on the QROPS? Has the QROPS invested in Residential Property? Has the QROPS allowed an onward transfer to a non-QROPS? Has the QROPS allowed benefits or connected loans to be taken before the age of 55? Has the QROPS been reporting information to HMRC correctly? We are aware of particular problems and instances of high levels of financial loss on non-standard investments provided by Qualifying Recognised Overseas Pension Scheme (QROPS). Furthermore, HM Revenue and Customs (HMRC) cannot guarantee that any transfer to a recognised pension schemes (ROPS) will be free of UK tax. If you have lost money investing in or transferring your pension to a QROPS and have been invested in High risk or illiquid Non-Standard investments or the QROPS has lost its Status then we may be able to help you with a no win, no fee claim to recover your losses. If this is the case, then please make a no obligation free enquiry on the form on this page for further advice.